Brexit could be delayed until 2021 under plans being explored by the EU’s most senior officials, at a time of growing exasperation over Theresa May’s handling of the talks, the Guardian can reveal. A lengthy extension of the negotiating period is gaining traction as the EU’s default position should the Commons continue to reject May’s deal, and a request emerge. Our day-to-day reality – life expectancy, health, wealth, and education – was considered unrealistic and utopian in the eighteenth century. So, what's next? Rutger Bregman, Dutch historian and author, explores how utopian ideals like a basic living income and a fifteen-hour work week could become a reality in our lifetime. Should we tax the rich at higher rates than we tax the poor? Libertarian Charles Sauer Takes on Democratic Socialist Thom Hartmann... And Loses. Again. Alexandria Ocasio-Cortez has suggested a seventy percent tax rate on the super profits of the very rich. The very suggestion of the rich paying their fair share has caused controversy among conservatives and in the media. But is taxing the rich at seventy percent really that radical? Libertarian Charles Sauer thinks so, debating Thom Hartmann on the effects and history of higher taxes on the rich. Does taxing the rich at higher rates help democracies function or do they slow innovation, as Charles Sauer believes? Their social media accounts have millions of followers - in a country where more than half the population lives below the poverty line and has no electricity or fresh water. India’s super-rich have been dubbed the "new maharajas." The sources of their seemingly unlimited wealth are almost as varied as their values and lifestyles. 23-old Evan Luthra uses his father's seed capital to invest in new ideas in the software industry. He loves luxury, meets the young moneyed elite in fashionable destinations around the world, and is active on all the social networks. Abhimanyu Alsisar, nephew of the Maharajah of Jaipur, runs a chain of luxury hotels in the ancient palaces of India and invests in music events. Kalpana Saroj comes from the lowest caste in India and has worked her way up from destitution to become a multimillionaire - but she never forgets her background, and helps impoverished farmers in her homeland with medical care and gifts of money. Vijay Mallya even bought his own Formula 1 racing team, but faces a long prison sentence for fraudulent bankruptcy and tax evasion should he return to India. The documentary is the result of six months of investigative research and offers a deep insight into the everyday and professional lives of India’s super-rich. Iconic fashion designer Karl Lagerfeld died aged 85 in Paris. THE MOSCOW TIMES: Young Russians are increasingly turning to the American writer in their search for a political alternative. In a glitzy hotel lobby in central St. Petersburg on Saturday, a band of young anarchists clad in black gathers around a middle-aged economics professor clutching a briefcase. Soon after, they cram into a nearby conference hall, where they will remain for some eight hours of uninterrupted discussion on Rand’s teachings and how they apply to present-day Russia in honor of her 114th birthday. 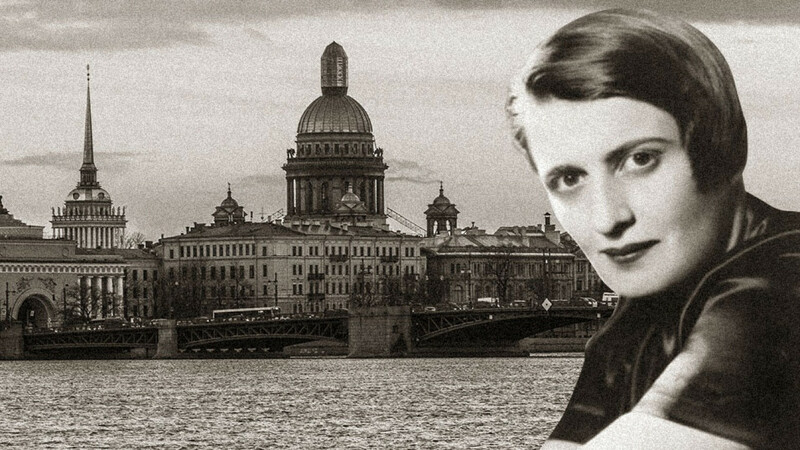 Despite the hype around the conference, Rand, who was born in St. Petersburg on Feb. 2, 1905, largely remains an obscure figure in her hometown. There is no museum dedicated to her life in the city, no street named in her honor and no plaque proudly stating where she lived or studied. When Dutch historian Rutger Bregman suggested wealthy people should pay more tax at last week's World Economic Forum in Davos, his speech went viral. But he says his comments did not go down well with those in the room at the event, which was attended by world leaders and heads of business. September 19, 2018 -- Jeff Bezos, Amazon Founder, entrepreneur and owner of the Washington Post, talks to David Rubenstein about his background, how he came up with the idea for Amazon, building the company, some of the key businesses including Prime and Whole Foods, the space race and philanthropy. The world's richest man says his most important decisions are made not with quantitative analysis but "with instinct, intuition, taste, heart." Bezos speaks in the latest episode of "The David Rubenstein Show: Peer-to-Peer Conversations." The interview was taped on September 13 in Washington. ‘We own Congress. We own the White House. We wealthy people are running the country.’ — Here's why self-described Patriotic Millionaire Stephen Prince wants to raise taxes on the rich. Stephen Prince is a multi-millionaire who made his fortune as the CEO of National Business Products, a company that manufactures plastic gift cards for retailers across the country. Unlike most millionaires, however, he is calling to reform the tax code and make the wealthy pay their fair share. By taxing the rich, Prince believes we can provide Medicare for All, mandate a living wage for workers, and eradicate income inequality. Prince got brutally honest in this video for NowThis explaining that the rich are in charge — in Congress and in the White House — and they are acting in their own interest for their own benefit. Prince believes that raising the minimum wage will increase consumption and we're better off putting money into the hands of people who will spend it in the economy than those at the top who already have plenty of money. Prince also says that the wealthy people in charge do not car if the economy improves just if they're making more money. Bernie Gives a Reality Check about Trump's "Booming Economy"
The economy is "booming" for Trump and his billionaire golfing buddies at Mar-a-Lago, but for the 80 percent of workers who are living paycheck to paycheck, this is not an economy to be proud of. Shock, shock, shock. I know you cannot believe this, but after passing a trillion dollar tax giveaway for the top 1 percent and large corporations, Republican leaders have introduced legislation to repeal the estate tax for the richest 1,700 families in America.